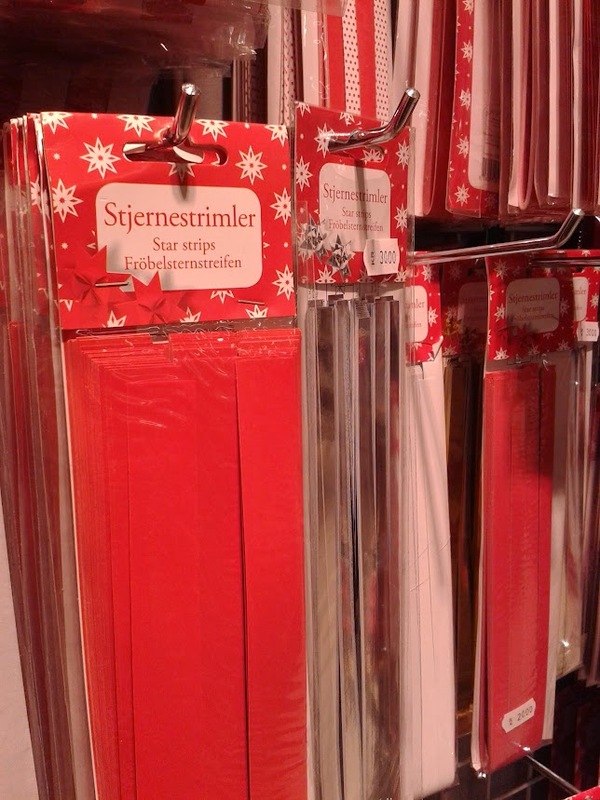 Welcome, once again, to my Danish Christmas Advent Calendar! 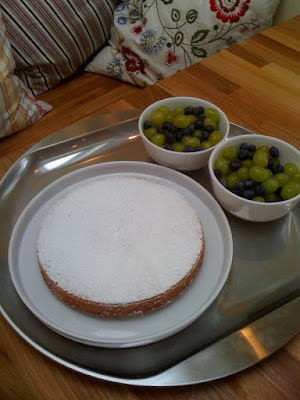 Every day I’ll be giving you a little peak into how our family celebrates Christmas here in Copenhagen. 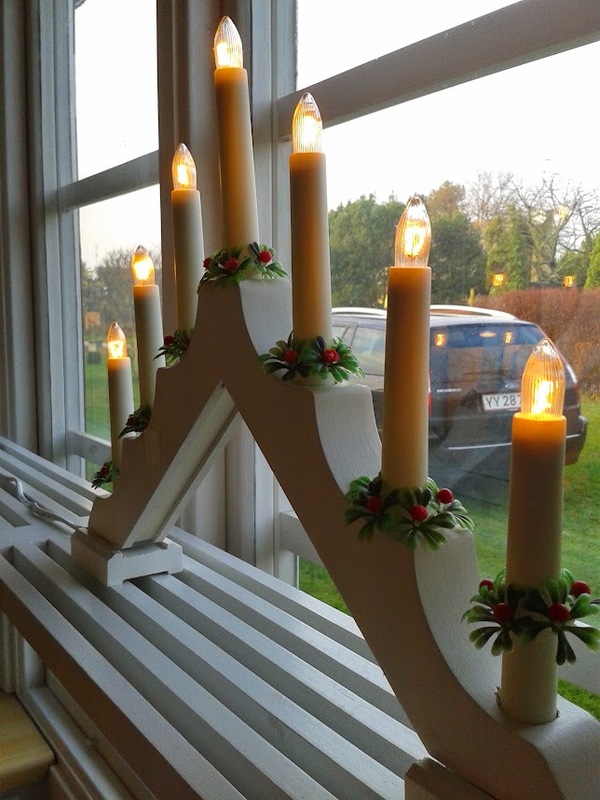 Our house is now fully decorated for Christmas and one of the essential parts, at least for me, is the Calendar Candle that we light on our breakfast table or in the kitchen window. 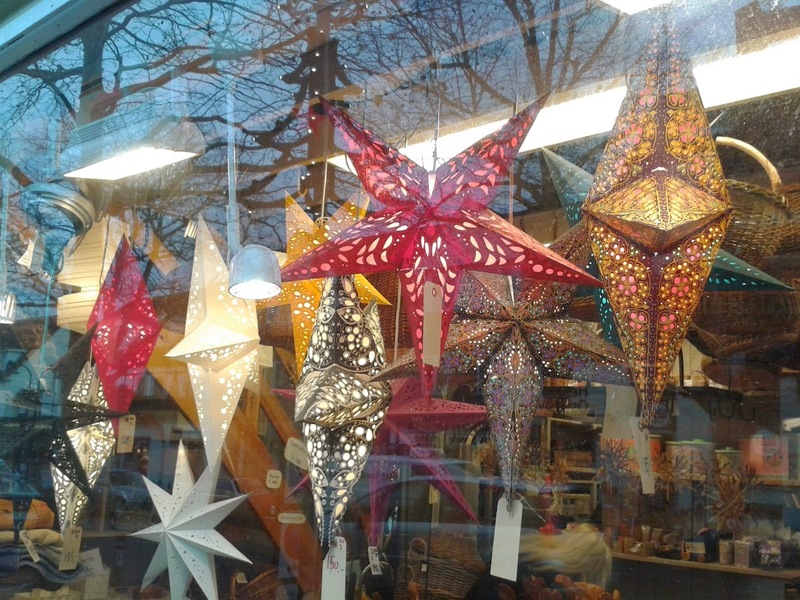 Is there a Christmas decoration that hangs in every window in your corner of the world? Around these parts it used to be this retro classic – we ‘inherited’ this one from the previous owners of our Swedish summer house and I love it – pure Christmas kitsch! But now there’s a new Sheriff in town…complete with a star – Julestjernen! 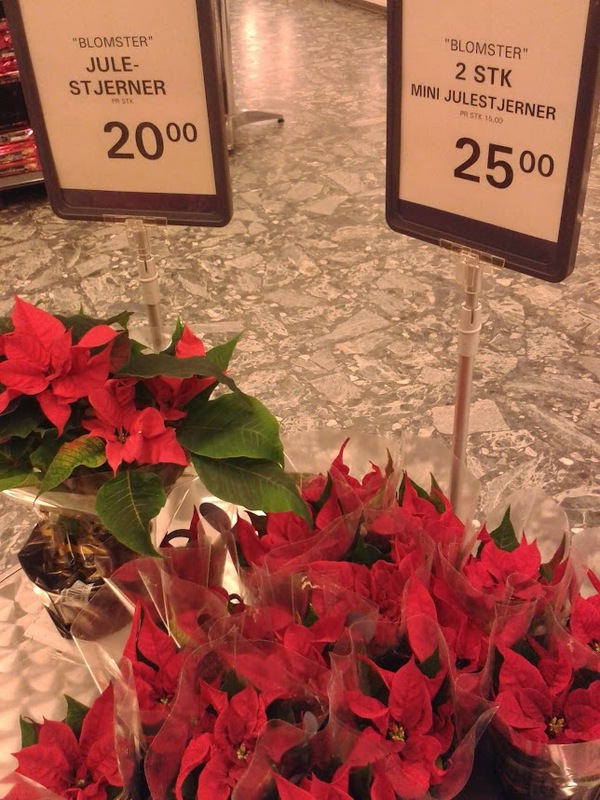 And you know they’ve gone viral when supermarkets and discount stores start selling them. 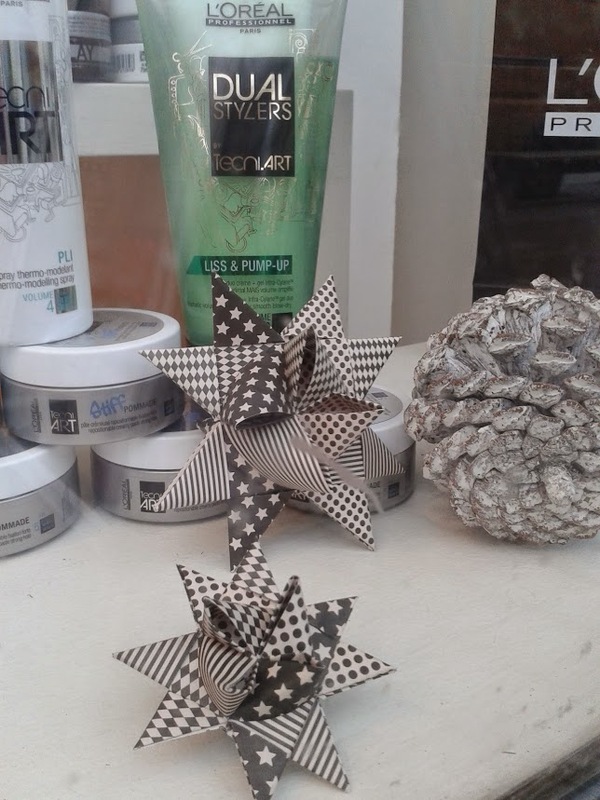 I also spotted these in the shop windows…paper stars – another obsession of those crazy (but lovable) Danes! If you want to try your hand at making some yourself, buy the long, thin strips of paper ready cut at hobby stores and bookshops. Precision is key! 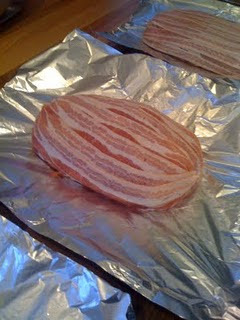 But I’m warning you, they’re very tricky and mind-boggingly time-consuming to make – I don’t think I’ll ever master them. Normally I give up and turn them intomusetrapper (“mouse steps”) instead… ! 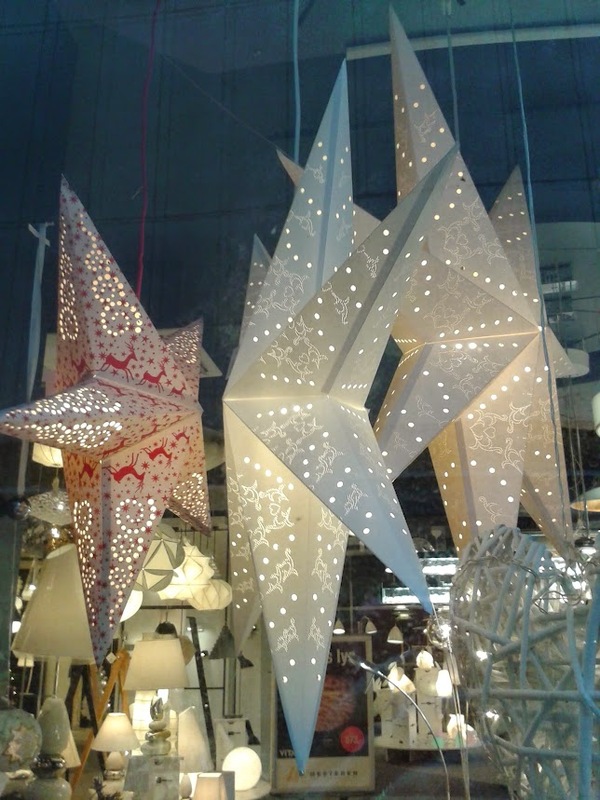 I fell in love with the large, lit stars (Julestjernen?) on our last trip to Denmark. The apartment we rented had the lit stars in every room! And this was April. 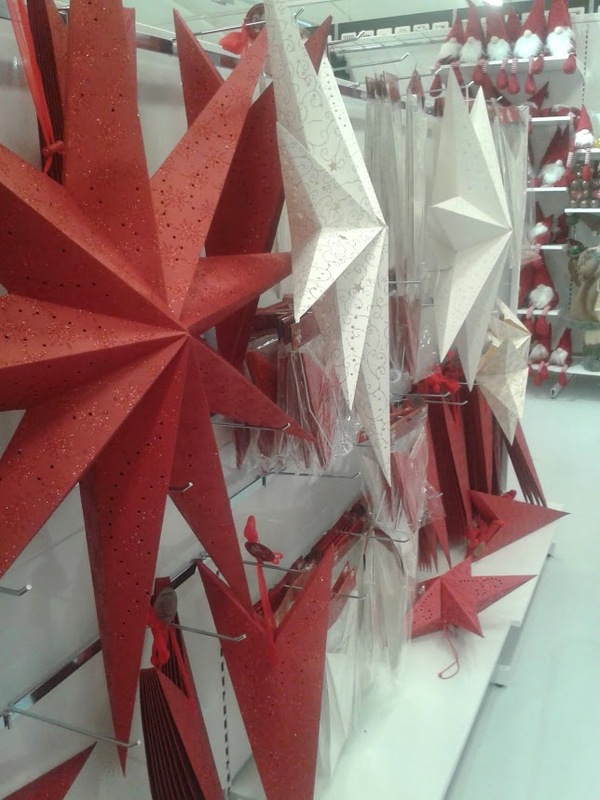 I searched for a time and found some at IKEA..my white star is up year round, the red one will go up today! I love the fact that they 'fold' away - great way to save on storage space!